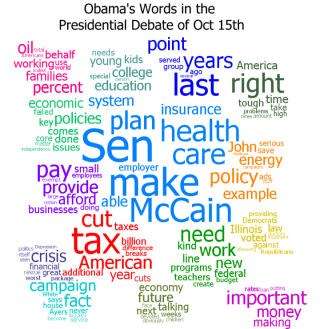 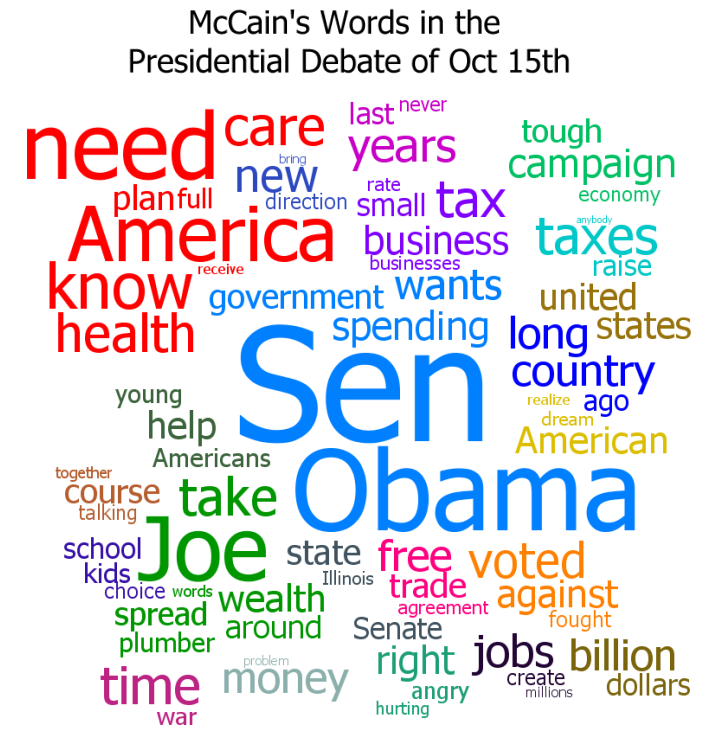 I made Clustered Word Clouds from the words spoken by the candidates during the debate last night. 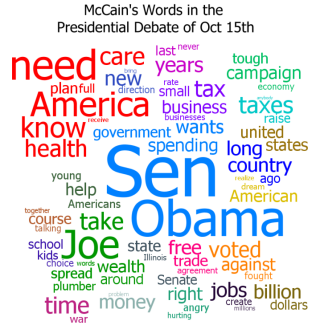 For some reason I don't understand, McCain's speech led to smaller word groupings than Obama's so I included extra groups to make the total number of words shown more equal. 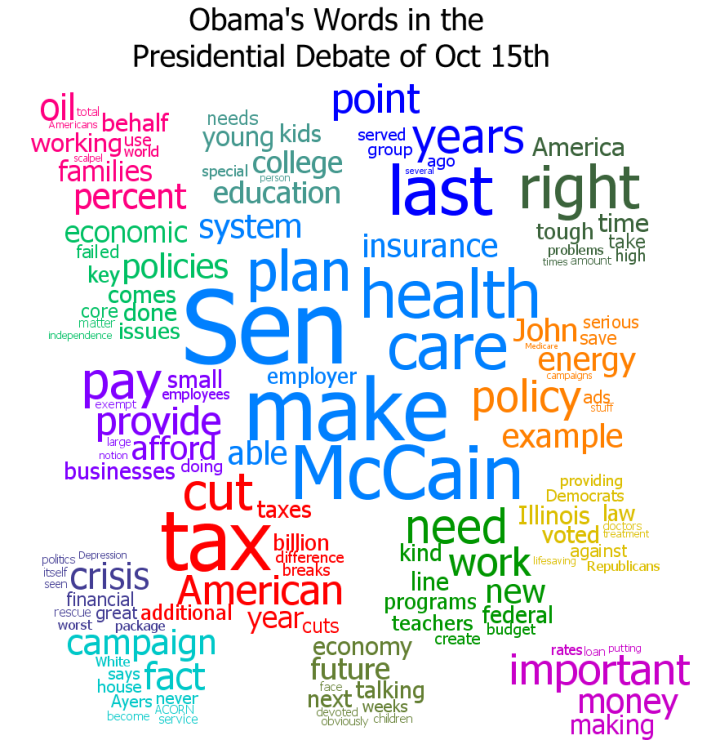 Click on either image to see a larger version.